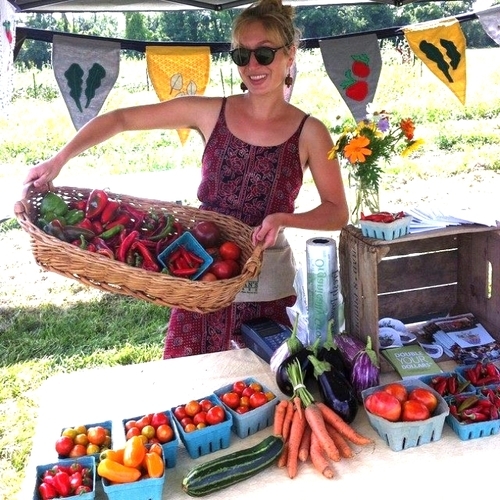 Whitelock Community Farm is a vibrant open space that grows food and activates community to promote social equity in the neighborhood of Reservoir Hill. Kimberly’s farming passion began with a family farm in Fort Mitchell, Virginia. From there, she went on to be the first intern for the oldest Black owned farm, The Greener Garden Urban Farm, and then the Black Church Food Security Network Garden Coordinator. 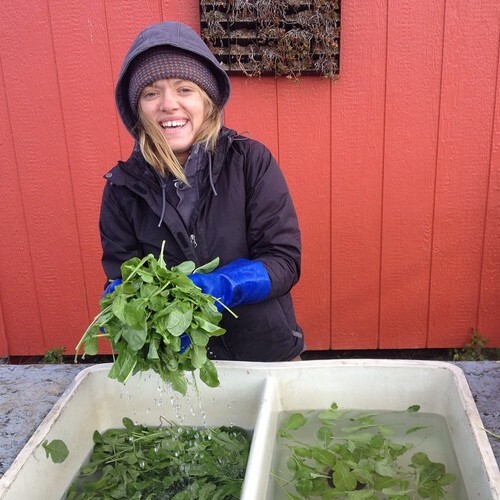 She has completed the Weed Warrior and Tree Keeper courses at Baltimore Recreation and Parks, as well as the Future Harvest Beginner Farmer Phase I Training and a Master Gardener certification from University of Maryland Extension. In 2017, she made many achievements for the Down South Afro-ecology Encounter in Durham, North Carolina, eventually leading to her position as the Farm Manager at Whitelock! Developing a love for the outdoors at a young age while working with The New York Restoration Project to revamp his neighborhood creek, Wykeem started volunteering at Whitelock in 2015 when first moving to Reservoir Hill, Baltimore. He remained involved and furthered his role at the farm by co-leading our YouthWorks summer program in 2017 and 2018, as well as starting Saturday community fitness gatherings to advance community engagement and promote wellness in Reservoir Hill. We are located in Reservoir Hill at 930 Whitelock Street, Baltimore, MD (at the corner of Whitelock and Brookfield). Bike Powered Mobile Market: Visits neighborhood locations from May to November. See website for route details! We accept EBT, WIC Fruit and Vegetable, and FMNP vouchers at our market stand and mobile market. We also offer double dollars for recipients in these programs. For example, spend $5 on your EBT and get $10 worth of produce. Please contact: getinvolved@whitelockfarm.org for scheduling groups, tours or with further questions. Join us for our potluck cook outs at the farm on the last Wednesday of the Month from May through October. We also work with neighbors, community organizations and partners to host events and workshops for adults and youth throughout the season. See our website for an up to date list of events!